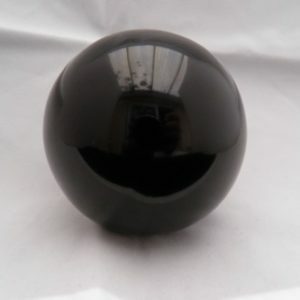 View basket “Dark Smoky Quartz Crystal Ball” has been added to your basket. The Golden Healer is a powerful healing crystal as it allows the golden light of Universal Life Force to flow into body through the Crown Chakra. The energy then spreads its golden light throughout the body as it clears blockages and imbalances that ready the body for multi-level healing. The Golden Ray energy of the Golden Healer may represent the Divine Spirit, Source and Creation. A Master Healer, the Golden Healer is of the highest vibration. Its energy is powerful, yet gentle and soothing.Golden Healers can be used to raise the holder’s energy vibration or frequency, which will facilitate spiritual communications over a long distance, including between worlds and dimensions. Hold a Golden Healer when meditating to connect with Source energy and to reconnect with the “One”. Place a Golden Healer under a healing or massage table to fill the area with gentle, sustainable energy throughout your healing session. Highlight a Golden Healer on an altar or grid, to raise the frequency/vibration of your intent.